National University Commission, NUC Has Approved the Commencement of Full Time Nursing Degree, Music and Linguistics Programmes in Olabisi Onabanjo University, OOU. The National Universities Commission (NUC) has approved the establishment of the full-time B.NSc. 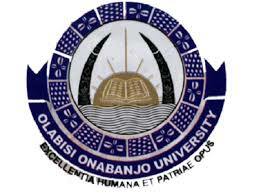 Nursing Science programme at Olabisi Onabanjo University effective from the 2018/2019 academic session. Other programmes approved alongside Nursing are Music and Linguistics. According to the Vice-Chancellor, Professor Ganiyu Olatunji Olatunde, the approval of the programmes was a vindication of the unrelentless efforts of the Management and the support the University received from the Governing Council. Professor Olatunde praised the staff from these newly approved programmes for their pioneering efforts and their exemplary cooperation during the Resource Assessment Visit by the NUC in June 2018. The Vice-Chancellor promised that with the continued support of the University Governing Council, the University would continue to work hard towards getting approval for the establishment of other proposed programmes such as Estate Management, Quantity Surveying, Building Technology, and Veterinary Medicine while ensuring that accreditation of other existing programmes does not elude the University.